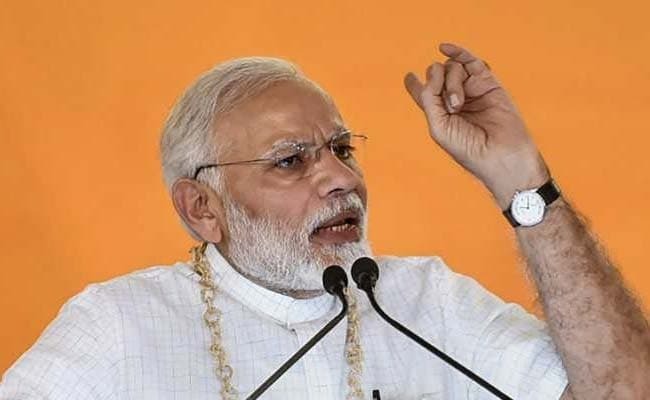 Prime Minister Narendra Modi's speech at Mandla in Madhya Pradesh on National Panchayat Raj Day, 24 April 2018, to mark the Silver Jubilee of constitutional Panchayati Raj in the country was telling testimony to his total ignorance of why the constitution was amended and what the outcome has been over the last 25 years. Indeed, he displayed no understanding of either the constitutional provisions for Panchayat Raj or their import or the real achievements and shortcomings of this revolution in grassroots federalism to promote grassroots development through grassroots governance. He made a passing reference to the Mahatma but steered clear of how the Rajiv Gandhi amendments have revolutionized Panchayat Raj by bestowing on the third tier of government in every village, block and district constitutional status, sanction and sanctity, and safeguards that have rendered ineluctable, irreplaceable and irreversible 'local self-government' (Article 243G) by villagers, of villagers and through villagers. He failed to emphasize the distinction between self-governance and democratic self-government that has made the third tier of government integral to the federal structure of our Constitution. He drew no distinction between the present constitutionally structured form of Panchayat Raj and the past practice of holding or not holding elections at will, extending terms at will, and dissolving democratically elected local bodies at the whim and fancy of state governments. He betrayed no understanding of shortcomings in attaining the aims and objectives that had motivated parliament 25 years ago to pass, virtually unanimously, the longest and most detailed amendments ever made to the constitution. He never once referred to faults in the processes of genuine devolution by the centre and the states to effectively empower the panchayats through the simultaneous devolution to the panchayats of the three Fs - Functions, Finances, Functionaries. He made no mention, because he just does not know, of technical but imperative issues such as 'activity mapping' or district planning or untied funds that are the anchor of genuine Panchayat Raj. PM Narendra Modi addressed the crowd on the occasion of the National Panchayati Raj Day 2018, at Mandla. He had nothing complimentary to say about states like Karnataka, Kerala, Tamil Nadu, West Bengal, Sikkim that have made tremendous strides in effective Panchayat Raj - probably because these are states that have resisted political encroachment by the BJP. Nor did he mention states now with the BJP but who under previous non-BJP governments had leapfrogged on the panchayat league tables such as Maharashtra, Tripura, Haryana and Himachal Pradesh - and, above all, Bihar under Nitish Kumar till he defected to the BJP. Unsurprisingly, because the Yogi looms over Modi, there was no mention of the worst laggard in Panchayat Raj, Uttar Pradesh. Nor did he denounce the hideous discrimination resorted to by BJP state governments in Rajasthan and Haryana that introduced educational qualifications, toilets, number of children, unpaid bills and loans conditions (inapplicable to MPs and MLAs) that debarred 85% of the women who had won in the previous Hooda-supervised Haryana panchayat elections from even standing for election in the last Khattar-organized round. 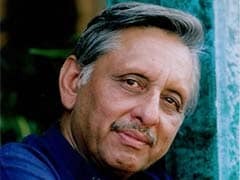 And, of course, he did not mention Gujarat because in comparison to what was achieved in the Mahatma's home-state under Gandhian giants like BG Kher and Balvantrai Mehta, Panchayat Raj in Gujarat under Modi stagnated while fascist practices like financially incentivizing the non-holding of democratic elections in the name of "village consensus" were promoted - the only state of the union to denigrate and discourage the most fundamental practice of democracy - namely, free, fair and fearless elections. It was a wasted opportunity to set things right. One only has to compare the empty stream-of-consciousness ramblings of Modi to the carefully thought out, well-prepared speeches of Dr. Manmohan Singh, especially his address to Chief Ministers on 29 June, 2004 (at which Modi was present), soon after he took office, to see the difference between a modest but learned PM and a flamboyant but pedestrian mind. Modi showed no awareness of the vast body of academic literature generated in India and abroad over the last quarter century on issues of local self-government in India post the constitution amendments. His officials could easily have given him a decent draft - but clearly he thinks PMs should resort to jumlabaazi, not structured ideas and plans. He began by referring to tribal royalty that has taken its bow in Agartala in the shape of the erstwhile Maharaja and now newly-minted deputy Chief Minister of Tripura who was incongruously seated on the dais with ancient non-tribal plebian warhorses of the Shivraj Chauhan kind. This was juxtaposed with Modi's impassioned tribute to "Ma Narmada", but with Modi seeing no irony in the displacement of lakhs of Madhya Pradesh tribals from their lands on the banks of "Ma Narmada" only to enable Gujarat's kulaks to reap the benefits of the Sardar Sarovar dam - and damn the consequences for the huge tribal population that has lived since time began in these now flooded tracts of Madhya Pradesh tribal and forest land. Indeed, the absence of any mention of widespread tribal distress, and the scandalous failure of the BJP government in Madhya Pradesh to rehabilitate the poor displaced adivasis who have been cruelly dispossessed of lands and forests they once thought was theirs, is what sparked the spread of Naxalism/Maoism through the better part of a third of the country's districts in central India - "our most serious internal security threat", as a more distinguished PM than Modi once confessed. His speech, its omissions perhaps more than its commissions, reflected the callousness of BJP administrations at the centre and in a state that barely treats tribal people as human beings. The answer, of course, lies in PESA - The Provisions of The Panchayats (Extension to Scheduled Areas) Act, 1996, which parliament was mandated under the amended constitution to formulate for the protection and promotion of tribal rights. Instead of shedding copious crocodile tears for the tribals, as Modi did in Mandla, Modi should have ordered full compliance with PESA in all ten states, including Gujarat, where PESA applies. That would have been statesmanship. What was on display was showmanship. The poor tribals of Mandla, who danced for him, remain exactly as neglected as before Modi's men dragooned them into his presence. Modi's flying visit to the tribal heart of our country has not changed anything for the better. There was no guarantee of repealing or modifying the colonial-era Forest Conservation Act of 1927 that is at the very root of tribal unrest in central India as it vests in the government (and government-patronized forest contractors of non-tribal extraction) rights over forest produce that the tribals have exercised since the beginning of life on Planet Earth. It is the tribals who have conserved our forests through the ages. It is government and its business minions who are entirely responsible for the despoliation of our forest wealth, not the poor tribals who have to bear the brunt of the inhuman provisions of FCA. There was no mention by Modi either of the duly legislated Rights of Forest Dwellers Act that is being observed mostly in the breach by BJP and BJP-inclined state governments that lord it over Naxal-prone Fifth Schedule forest areas, fuelling tribal despair and tribal rage. True, bamboo has been removed from the category of "trees", as Modi boasted, to enable tribal access to much-needed bamboo for their own needs but that alone does little or nothing to promote tribal rights to livelihood since rampant commercialization by non-tribal exploiters of tribal wealth continues unabated. In one stroke, the diligent implementation of PESA and related laws would substantially end tribal exploitation. Modi does not even refer to this because that would also dry up party coffers in one stroke. Instead of using the Silver Jubilee to order his own state governments to shape up or ship out, Modi spent almost all of his immensely long and utterly soporific speech exhorting the villagers to do what is obvious to them - take up five or ten or fifteen "things to do" (such as 'bee-keeping' that they have been assiduously doing since forever, no thanks to Modi!) What they were doubtless murmuring in their hearts was: "We know best what we want and how to do it, but we can't do what we want to do unless you get your corrupt and oppressive bureaucracy off our backs. Do your bit to implement PESA - only then can we do for ourselves what we need to do for our villages. Get on with conscientiously implementing Part IX of the constitution by devolving functions to the panchayats through scientific activity mapping of centrally-sponsored and state-sponsored schemes; ensure the parallel devolution of the required finances, including petitioning the Fifteenth Finance Commission to augment their grant of untied funds to the panchayats; and, above all, bring under the disciplinary control of the democratically elected local authority the technical and administrative functionaries we require for us - not you - to show the world what we can do for ourselves if only you would let us". Is Modi listening? Of course not - for the roar of his helicopter engines as he departs with a condescending wave of his hand is drowning out all prospect of 'achche din' through real Panchayat Raj. Tragic.